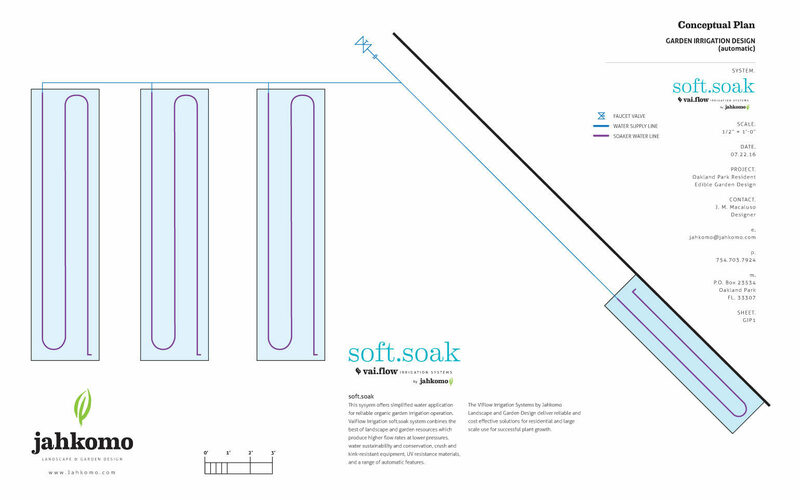 Soft.Soak Irrigation Design for Jahkomo client's raised-bed garden. 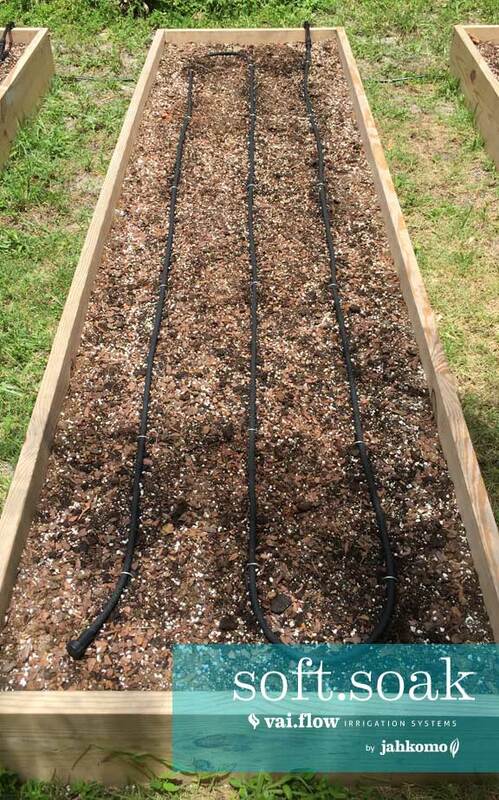 One of our great patrons called on Jahkomo Landscape and Garden Design to design and install the Soft.Soak Vai.Flow Irrigation System to his home, raised-bed garden. 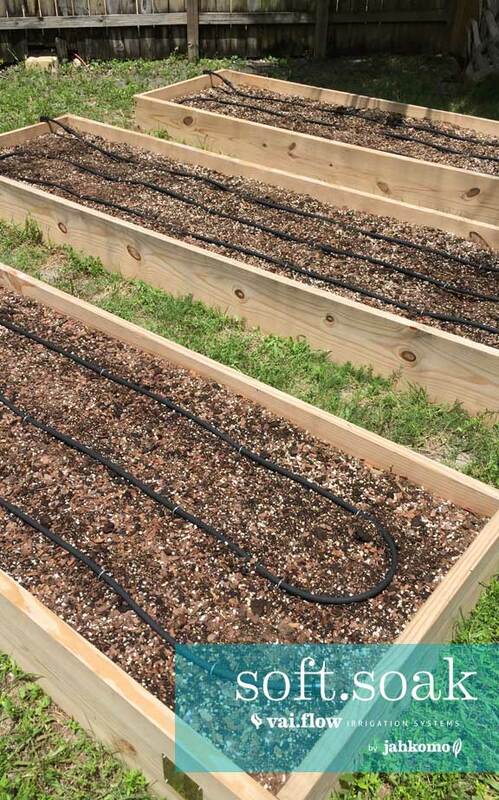 He requested an automated system that will assist in the watering of his new garden while using a fraction of what other water systems would distribute and be scalable in the future. We will guide him through the fall and spring growing seasons to insure successful harvests. The Vai.Flow Irrigation Soft.Soak System© combines the best of landscape and garden resources which produce higher flow irrigation rates at lower pressures, up-to a 70% reduction in water consumption, water sustainability and conservation, crush and kink-resistant equipment, UV resistant materials, and a range of automatic features. 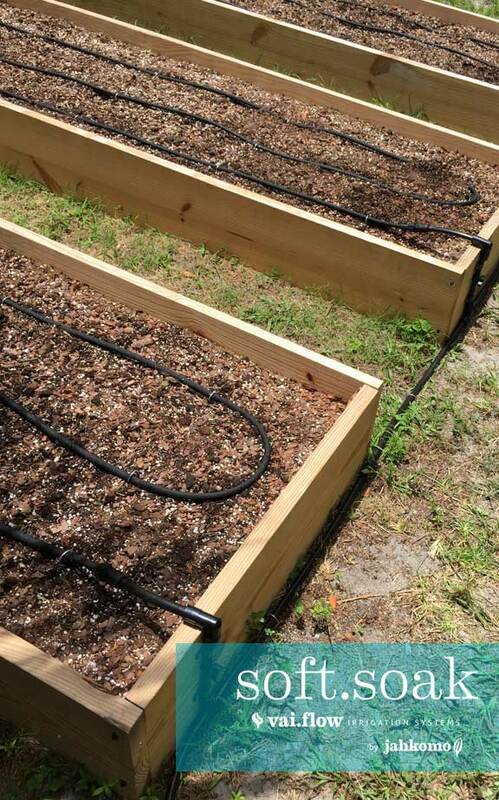 Learn more about the Vai.Flow Irrigation Systems.